"My goal is to save as many lives as I can." Eight years ago, Hannah Shaw had no idea she'd ever be rescuing kittens for a living. In fact, she didn't even think of herself as a cat person. 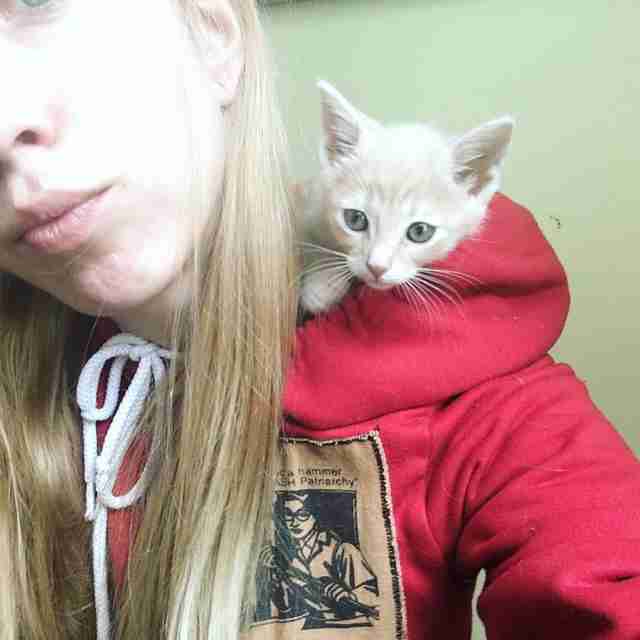 But everything changed when she found a kitten stuck in a tree in her hometown of Philadelphia. 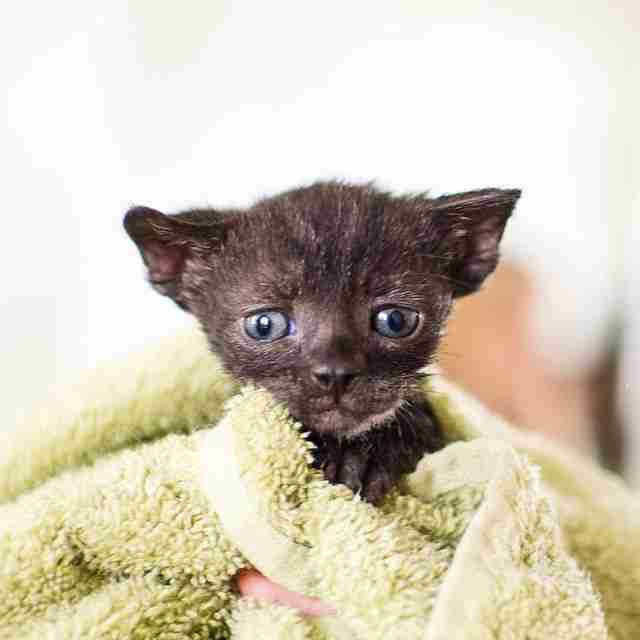 "I looked up and found this little kitten in a tree," Shaw, the woman behind Kitten Lady, a rescue and advocacy project, tells The Dodo. "I climbed the tree and got her down, and I thought, 'Oh my gosh, what do I do now?'" 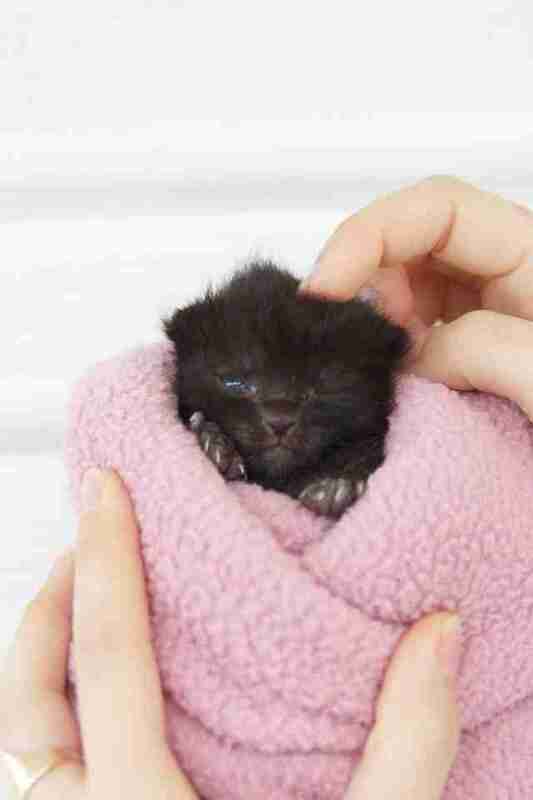 Only a few weeks old, the kitten - whom Shaw named Coco - needed special care. Shaw turned to vets and shelter volunteers for help, but she only got a limited amount of information. So she had to figure things out on her own - she took what advice she could get, and also did online research. "I discovered that there were very few resources for kittens," Shaw says. "I really had to make my own path to help this kitten." Shaw kept Coco as her own pet (and she'd wind up adopting another rescue cat named Eloise four years later), but she quickly realized there were many, many more kittens who needed her help - not just in her local area, but across the country. It's estimated that 7.6 million companion animals enter shelters in the United States each year, and 3.4 million of those are cats, according to the ASPCA. What's more, a staggering 70 percent of shelter cats are euthanized each year, John Goodwin, senior director of the Humane Society of the United States (HSUS), tells The Dodo. 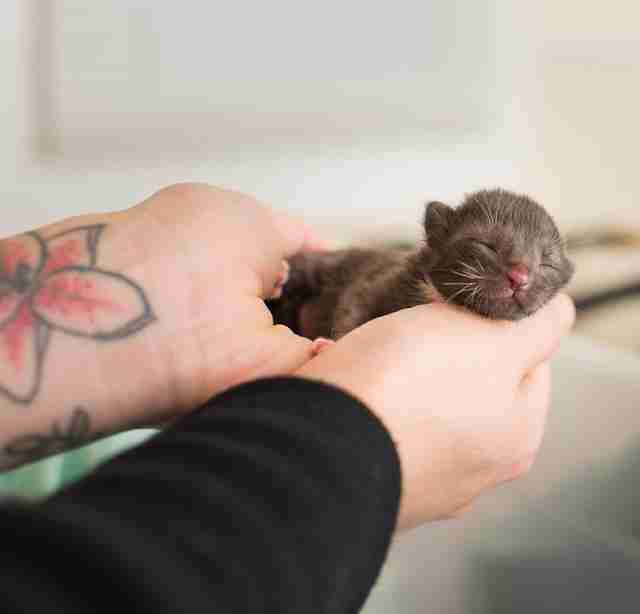 Neonatal kittens are more likely to be killed because many shelters don't have the resources to care for them. 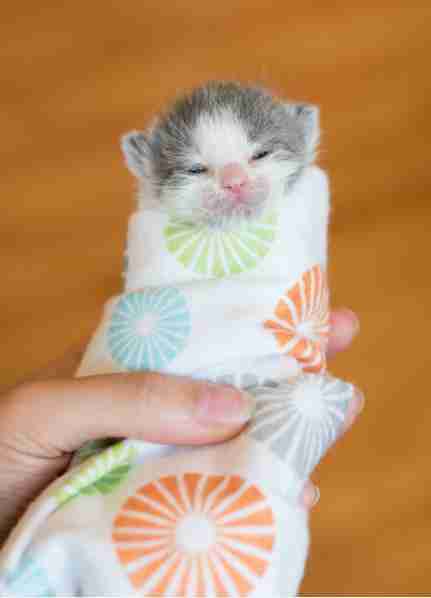 Further, when cats aren't spayed and neutered, you guessed it - kittens are born. The largest number of kittens are born during the so-called "kitten season," which occurs between spring and fall each year. "Seasonal kitten changes do occur every year, often filling shelters to the brim in the spring and summer months, although warmer climates may see two waves of kittens, or even high numbers throughout the year," Katie Lisnik, director of cat protection and policy for companion animals at HSUS, tells The Dodo. "Kittens pose an extra challenge when they're too young to adopt out - they need to be put in foster homes and take a lot of resources, both time and funding, to adequately provide care for them." The next kitten Shaw would rescue was Rufus, whom she coincidentally also found in a tree two weeks after Coco. About a month later, Shaw took in Zeke, who presented a whole new set of issues - he was much smaller and younger than Coco and Rufus, which made them slightly easier to take care of than little Zeke. "My friend called me and said, 'Hey, I know you just saved some kittens. There's one in my alleyway. Can you come help? He's really young,'" Shaw explains. "So I got to her house and it was raining, and she'd been watching for hours to see if the mom came for the kitten, but she never did." When Shaw saw the kitten, she broke down. "I just started to sob," she says. 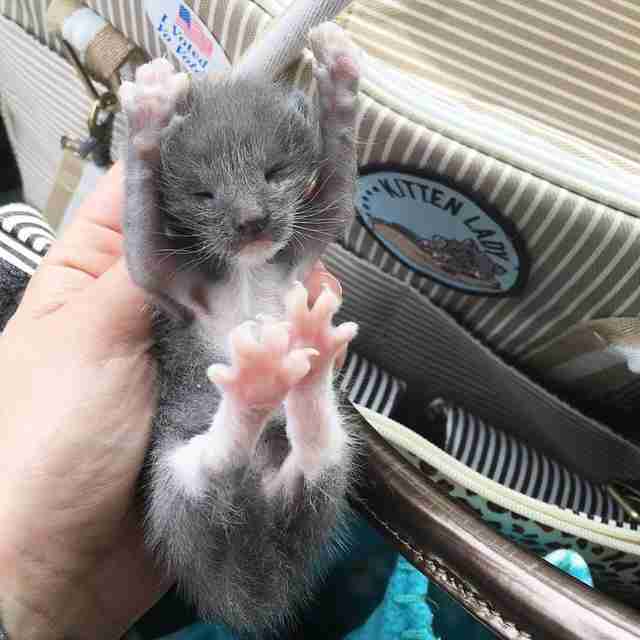 "I think this kitten was maybe 3 or 4 days old. I knew I was in way over my head, and I already knew that there was no one who was going to help." But Shaw was determined to learn how to care for this young kitten. Because Zeke was so young, he would need a higher level of care than her previous charges, so she tried to figure out what to do on her own - seeking out advice from anywhere she could, and researching online. "I was 20 or 21 years old, and I had no money," Shaw says. 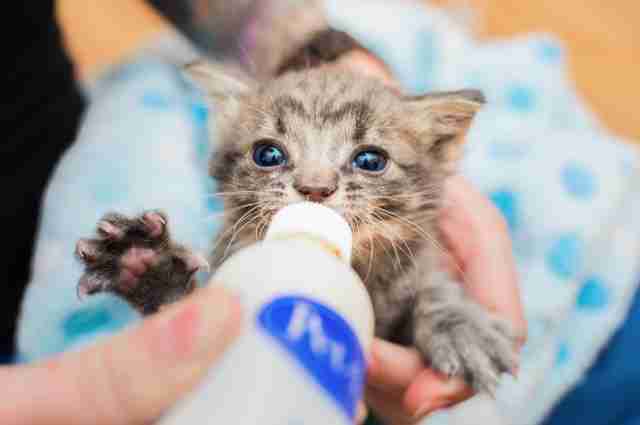 "We knew we had to bottle-feed the kitten, so we went and got the supplies, but we were in way over our heads. So my friend and I agreed to co-foster and to both put money aside to try and help the kitten." "I used to work in the public schools in Philadelphia," Shaw says. "I was so dedicated to this kitten that I would sneak him into school with me because he needed to eat every couple of hours. I would actually wear a scarf around my neck, and I would keep the kitten in my scarf, and I'd just excuse myself every once in awhile to go to the teachers' lounge, and I would feed him in there, or feed him in a bathroom stall." Eventually, the other teachers and staff at the school found out about Zeke, but they were surprisingly supportive, Shaw explains. "I was able to have Zeke kind of join the classroom a little bit, and he learned how to walk on the floor of the classroom I was working in," Shaw says. "He went everywhere with us - even field trips. 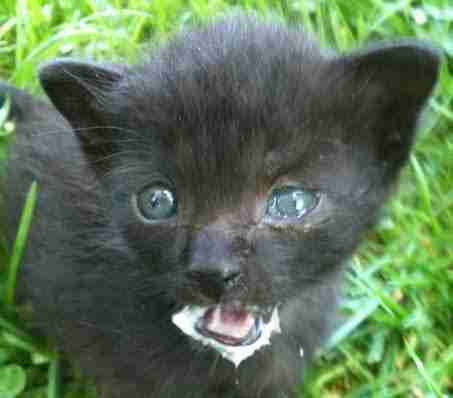 I was bottle-feeding him outside of this museum, and I have a picture of him with a giant milk mustache." When Zeke was about 8 weeks old (which is the standard age for kitten adoption, according to Shaw), Shaw rehomed Zeke with her good friend in Arlington, Virginia. "She's a huge cat lady, and she just loved this kitten," Shaw says. 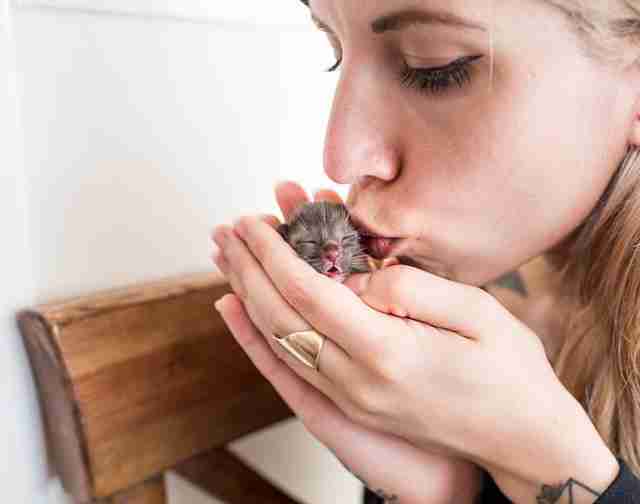 After saving Zeke's life, Shaw became, in her own words, "obsessed with finding ways to save baby kittens' lives." 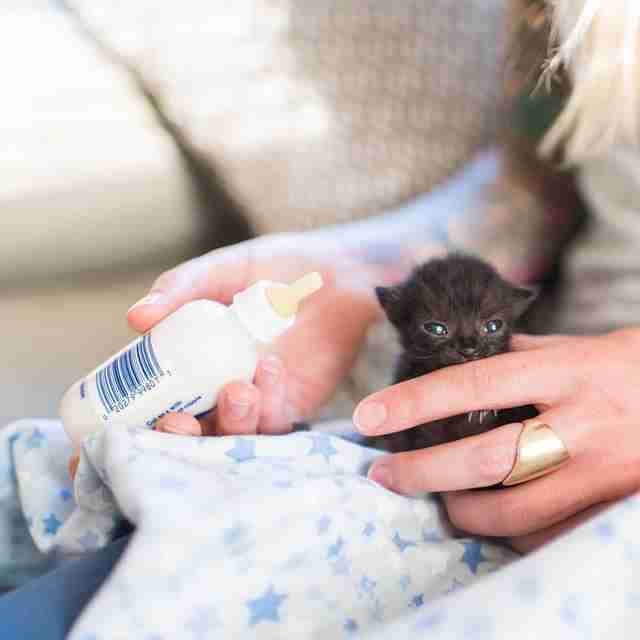 For Shaw, this wasn't just about fostering kittens, but providing resources for other people to help kittens as well. "The lack of good information and resources is what inspired me to start my project Kitten Lady," Shaw says. 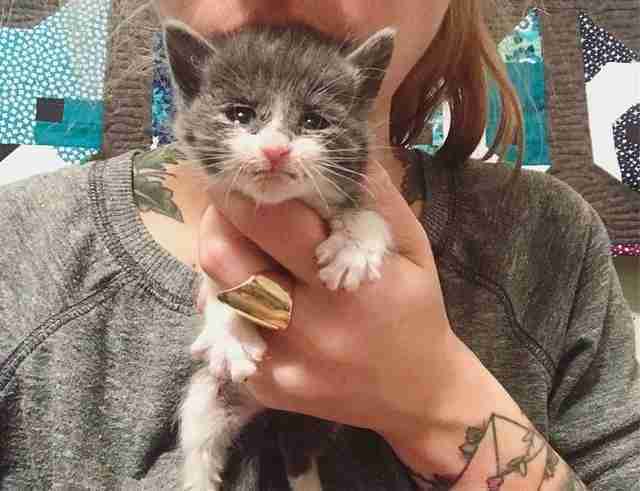 "I wanted to give people a resource when they find a kitten in need." Shaw now spends her days running educational programs and events, speaking to the media and providing animal shelters with free and low-cost resources to help end the euthanasia of kittens. And of course, Shaw continues to foster kittens and find them homes. "There's no end to the work that needs to be done, so I try to make it fun for people, and make it feel like something people can do and be proud of what they're doing," Shaw says. "My goal is to save as many lives as I can." If you'd like to help kittens, too, you can find a wealth of information on the Kitten Lady website, Facebook page and YouTube Channel. You can also help Shaw rescue more kittens by making a donation to Kitten Lady.